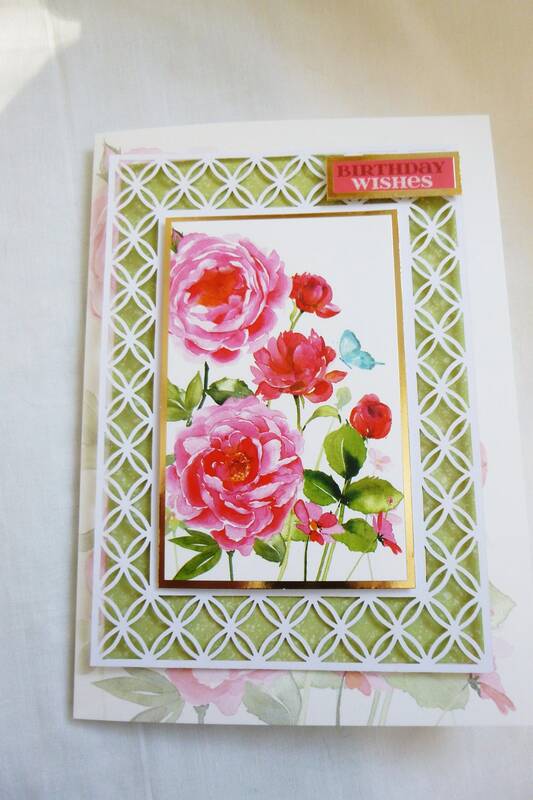 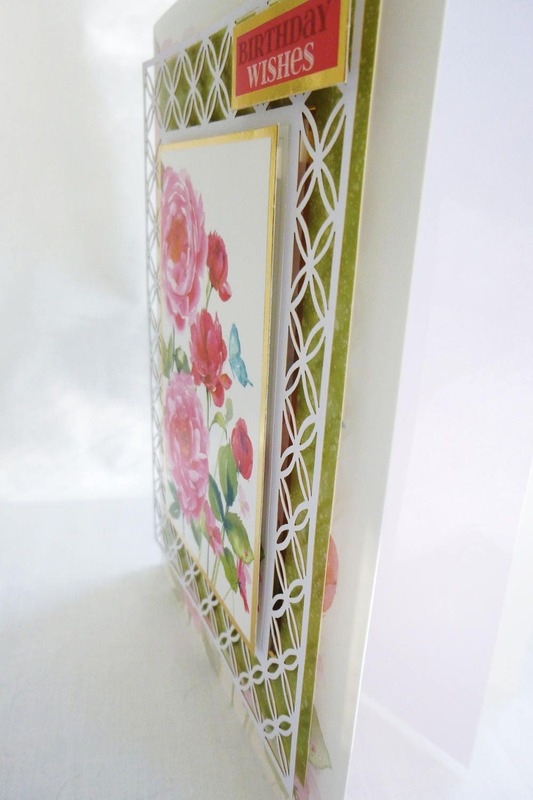 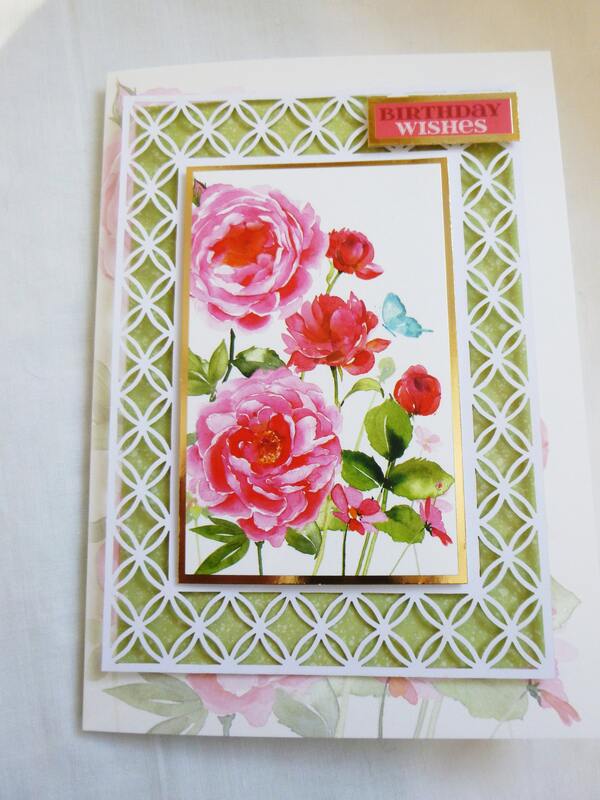 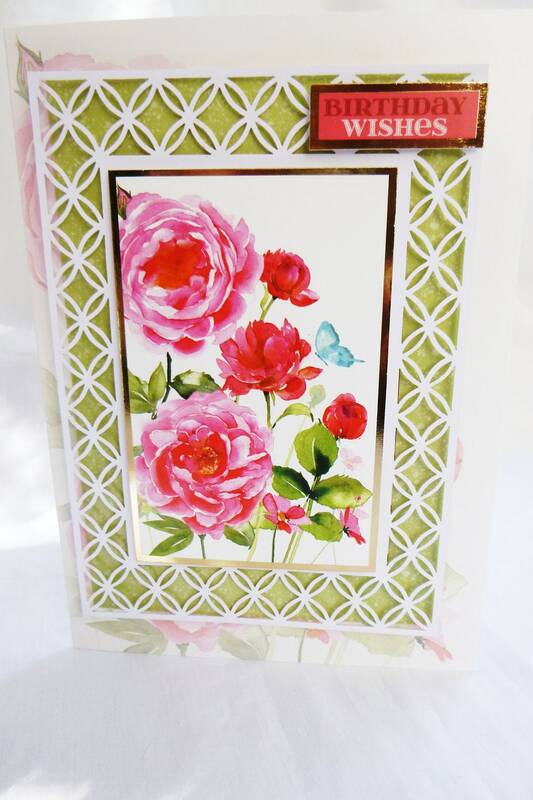 Filigree birthday card, made from patterned card, with a white filigree frame an a floral decoupage in the centre, there is a small sentiment in the top right hand corner of the card which says, 'Birthday Wishes'. 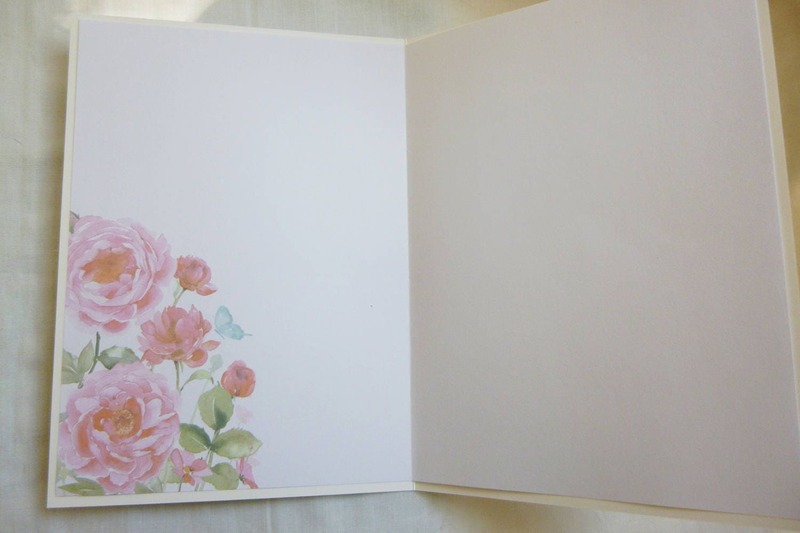 Inside the card is matching insert paper which is left blank for you to write your personal message. The card measures 7 inch x 5 inch, 18 cm x 13 cm, include a white envelope.